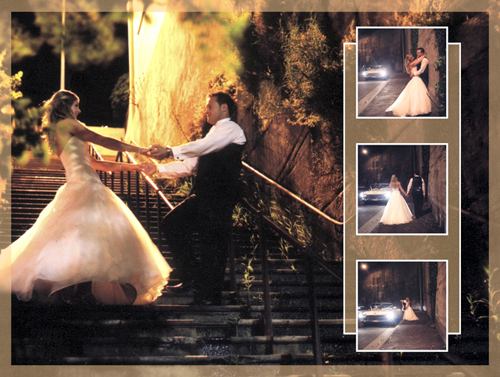 Need Wedding Photography in Sydney but don't know where to begin looking? Wedding Photography Sydney - Giannis Photography is a premiere Sydney wedding photographer and has been creating beautiful wedding photos throughout Sydney since 1993. Wedding Photography Sydney - Giannis Photography, based in Parramatta, offers a friendly professional Wedding Photography service in Sydney - capturing beautiful, natural images to suit each client’s individual needs. Our studio offers, a simple approach in designing packages, with modern state-of-the-art digital technology and exclusive finishes and enhancements for our client’s needs. Wedding Photography Sydney - Giannis Photography in Sydney makes having a beautiful wedding package or portrait session easier, faster and more affordable than ever before. Wedding Photography Sydney - Giannis Photography will design and help you select your ideal Wedding Photo package with stylish finishes including professional framing, albums, canvases, and more. We invite you to relax in the comfort of our Parramatta showroom to view our beautiful images and let you see the difference. Book any wedding album package and receive your choice of an A4 size parent album, Brag album or 3(12x12) inch block canvas’s free!